David Daniels is the Senior SEO Analyst at Vertical Nerve Inc. in Dallas, Texas, a digital optimization agency helping clients acquire more traffic and convert that traffic into leads and sales. 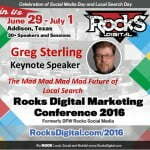 His background is in Technical SEO audits and Local SEO, as well as SEO strategy for small and enterprise businesses. David has worked for some of the top Internet marketing agencies in Dallas providing SEO expertise for nationally recognized brands as well as Fortune 500 companies. David has contributed to Search Engine Watch and now provides technical structure audits, meta data analysis, content & link audits, structured markup recommendations & examples, and SEO strategy for large companies in the USA and UK. In addition, he works with enterprise web development teams to correctly launch large websites in the USA, UK & Ireland. Currently, the largest garners nearly 13 million page views per month. In this session, David will outline the difference between what people say you need to do regarding technical SEO, and what actually works. He will share the often-overlooked opportunities he uses daily to make a real impact for Vertical Nerve clients. 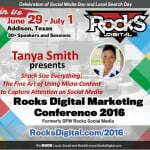 Are you taking every opportunity you can to market your business or your client’s business? Not sure? Stop listening to everyone else’s misconceptions about technical SEO and get real answers from a pro. This session is for you. 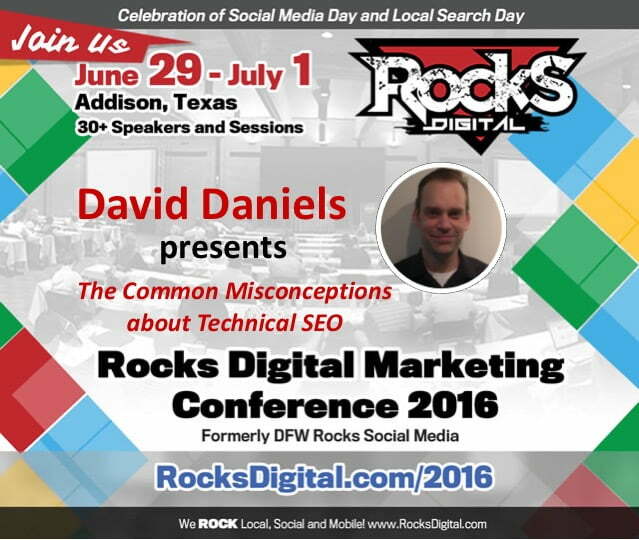 Get Techie with @VerticalNerve’s David Daniels – Dispel Technical #SEO myths at #RocksDigital 2016!